St. Martin's Paperbacks, 9780312539566, 464pp. As Harry enters into adulthood, he finally learns how his father really died, but the awful truth only leads him to question: Was he even his father? Is he the son of Arthur Clifton, a stevedore, or the firstborn son of a scion of West Country society, whose family owns a shipping line? From the ravages of the Great War and the docks of working-class England to the streets of 1940 New York City and the outbreak of the Second World War, this is a powerful journey that will bring to life one hundred years of history to reveal a family story that neither the reader nor Harry Clifton himself could ever have imagined. JEFFREY ARCHER was educated at Oxford University. He served five years as a Member of Parliament in the House of Commons and has served twenty-six years as a Member of the House of Lords. Now published in 97 countries and more than 37 languages, all of his novels and short story collections—including Kane & Abel, Only Time Will Tell and This Was a Man—have been international bestsellers. Jeffrey is married with two sons and three grandchildren, and lives in London, Cambridge and Majorca. “Outrageous and top-notch terror.” —Vogue on SHALL WE TELL THE PRESIDENT? 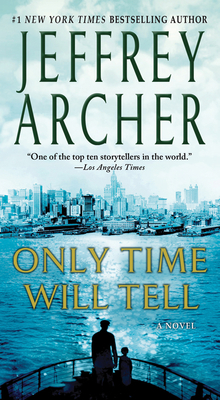 “The only difference between this book and The Day of the Jackal is that Archer is a better writer.” —Chicago Tribune on SHALL WE TELL THE PRESIDENT? “Authentic, literate, and scary.” —Cosmopolitan on SHALL WE TELL THE PRESIDENT? “The countdown is the thing; the pace, the pursuit, the what-next, the how-is-it-going-to-come-out…” —Boston Globe on SHALL WE TELL THE PRESIDENT? “Holds the reader in a vicelike grip.” —Penthouse on SHALL WE TELL THE PRESIDENT?